 WE HAVE DUMPED ALL SERVERS TO MOVE TO STEAM. WE HATED DOING IT. BUT WE ALL SEEM TO LOVE CALL OF DUTY MW2.